This book eliminates the myths that surround starting your own business. The book eliminates the myth that surrounds starting your own business. Shows us how ordinary assumption can be a hurdle in running a business. The author will walk you through the stages in the life of a business, from infancy to maturity in business perspective. The beacon of light of all the businesses that succeeded. Gerber also shows how to apply the lessons of franchising regardless if your business is a franchise or not. Finally, Gerber discusses the crucial, often neglected difference between working on and working in your business. Business owners most often learn the perils of the corporate world the hard way. After their fall business owners are forced to improve their situation on their own. 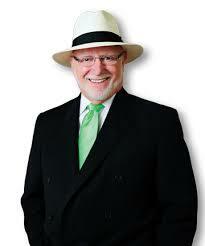 Luckily, Michael Gerber provides us with a well-written guide about business plans and employee management. He offers us a tasteful dose of reality including strategic examples, real numbers and some marketing insights. At times, some examples in the book may seem frivolous and mundane however, the book farners plus points for being able to deliver tough lessons in a shorter way. This book is highly recommended for entrepreneurs and dreamers. 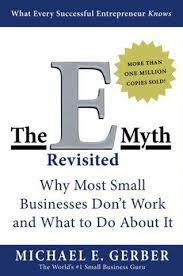 The E-myth Revisited will truly help you grow your business in a very productive and effective way. Michael E. Gerber is a superstar of entrepreneurship. Inc. Magazine called him “the World’s #1 Small Business Guru.” He started more than 40 years ago addressing an important need in the small business market. 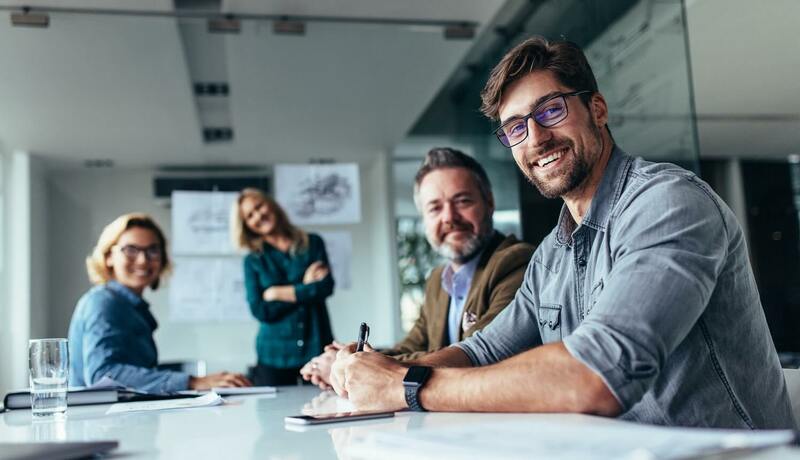 Throughout the years, Michael E. Gerber’s companies have helped so many small business owner-clients to successfully transition their businesses into world-class operations. False systems cheat small business owners. Honestly, owners of small businesses and corporations function performing the wrong type of work. Essentially, the returns from their business fall short in relation to the investment of time and effort that have exerted. Well, numbers do not lie. More than a million people launch their business in the US every year. Sadly, within a 12-month period, 40% of those start-ups closes. Five more years and more than 80% are already closed. Many entrepreneurs fall victim to their own fantasies and lack of knowledge. Fictional tales about entrepreneurs surround Corporate history. Legend says: In an arduous environment, a man or a woman defies all odds and gains profits and fame. These tales are hardly true. This is what really happens. The initial flicker of entrepreneurial spirit turns into dismay, exhaustion and misunderstanding. Most businesses are started by barbers, bookkeepers, plumber, sales people and not by visionary entrepreneurs. Due to some life-changing event, milestones or perhaps a bad day at the office, these people suddenly get hit by an entrepreneurial spirit and they begin to develop their very own companies. However, a detrimental assumption faults their business development efforts: a misguided faith in technical talent. A fierce unapparent tug of war is what most business owners encounter. This is because most owners of start-up companies commonly wear three hats. These functions compete for the owner’s limited time and energy. For a business to thrive and succeed, it must deviate from the founder. A business must not depend entirely on the abilities of the founder because if this happens then this is no longer a business but a very stressful job for the founder. Real business is one where the owner/founder has successfully created a system so that the business can function smoothly without his/her constant presence. The book describes this as the “Franchise Prototype”. The inspiration for this came from successful franchise businesses such as Mc Donalds and Burger King where manuals that detail how to run the business exist. 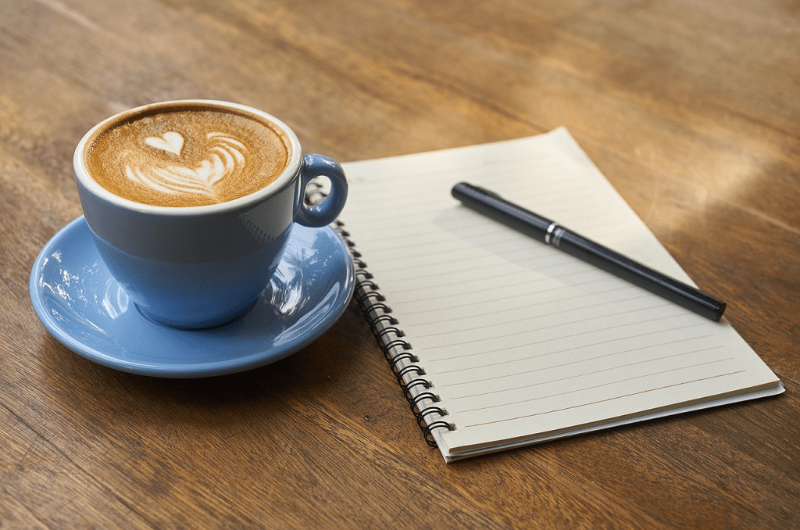 However, the book not suggest that you just franchise a business but rather just to treat it as if it were in some critical aspect: you need a very detailed system to run the business. Many small business owners combine their personal lives into their business careers. Eventually, that creates a vicious takeover. Luckily, you may follow a few rules to prevent your business from taking over your life. Create a business model based on the company’s core values. Build a system where workers with the “lowest-possible skills” within their given positions or ranks can use. This process creates a business that depends on systems rather than experts or talented individuals. Chronicle procedures in employee manuals. Provide your customers with uniform services and products. Create a dress code; implement a standard of design for stores and offices. If your business is the one running your life, then you don’t have a company, you have the worst job. An excellent Operating System is more vital than the product of the company. In a pragmatic company, the business owner always develops a strategic plan for growth. While startup businesses need more time and effort, business owners always need remind themselves to separate your life from your company, and understand your dreams and goals. For more information regarding the book and the author you may click the link below. You owe it to yourself to read this book. This book is about building a business. This might be a odd book to read as a minister, but there was many connection points that were helpful. In regards to the organization of a congregation, this book was a valuable resource. The best insights from this book was the role of the business owner. The business owner works the business, much in the same way that the minister works in the congregation. This is why congregations that have a pastoral mindset stop growing at 200 members. The minister cannot do anymore for the people. He is maxed out. The next step is that the minister works harder, helps the congregation grow, but then there is conflict. He no longer can be at everything, people expect him at everything, and there are hurt feelings. The same quality of service is no longer there. Disappointment sets in. People leave, and the congregation falls back to the normal size. This book helps you think through these issues. Instead of just working in the business, you need to work on the business. This is probably the biggest shift for a preacher. We are trained to work in, and not on. One of the best steps for a successful business is building a system that can be duplicated. This means understanding who is doing what. If you do not have a flow chart, or an organizational chart, you have a mob, and mobs destroy things. This is a good book for understanding how an organization works. Everything might not line up with how a church works, but there is a lot of good advice, and a good read for the topic. Good stuff. If you want to start your business, this book is like extremely important. I had the audio book and purchased the hard copy. Second bests book I have ever read in terms of changing the mindset or starting a business for success. – Knowing that you’re the brain driving this body of your business. If you are thinking of starting your own business, welcome to one aspect of the American Dream. Remember however that for a business to succeed, it will need more than you and an idea. It will need a systematic approach to be a successful business and The E-Myth Revisited should be on your list of required reading before you start your business. Michael Gerber’s book reviews all aspects of preparing your business to succeed beyond just your initial idea by using what he calls the “Franchise Prototype”. The book is a quick read told through a discussion between Michael and a would be bakery shop entrepreneur, Sarah. This real life example of how to build a business will make you think of the best way to structure your business to allow you to live the life of your dreams.